Like all medical procedures, devices, and pharmaceuticals, vaccines are not perfect – there are rare vaccine adverse events. What matters is that the benefits, not only medically but also economically, outweigh any risks. As far ask I know, no perfect medical procedures, devices or pharmaceuticals, none, that are perfectly safe or perfectly effective. Sometimes the ratio is small. For example, there are chemotherapy drugs that only add a few months to a patient’s life, usually with substantial side effects to the medication. Yet, if you ask a patient whether it was worth it, to spend just a few extra months with their children and loved ones, the value becomes nearly incalculable. But mostly, the FDA and other regulatory agencies demand that new products and procedures must meet or exceed the safety, and meet or exceed the financial and health benefits of currently acceptable versions. Actually, the FDA examines a lot more than that. They check the packaging, shelf life, instructions, manufacturing practices, and so much more, it would take a book to explain it (and there probably are several). It may not be a perfect process, but it’s better than what we had 100 years ago, and it continues to improve every single day. People tend towards a form of confirmation bias where they remember where a drug may or may not have been found to be dangerous (best example is Vioxx). But they forget about the millions of medications and devices that save lives or measurably improve the standard of living. After arguing the scientific point of view with the anti-vaccine religion for over 20 years, I have observed that they tend to vastly overstate the safety risks, while vastly understating the financial and health benefits. It’s a form of the Nirvana Fallacy, which is a fallacy that if something is not perfect, then it’s junk. For some, if a vaccine is only 95% effective in stopping a disease, it’s worthless. And they want a “guarantee” that there are NO side effects of the vaccines, even when the “adverse effects” of a vaccine-preventable disease could be hospitalization or death. Of course, no pro-science proponent of vaccines would ever say “vaccines are perfect.” We never claim that vaccines never have an adverse effect, though there is no evidence that a vaccine has killed anyone in the last 30 years. On the other hand, I do have plenty of evidence that vaccine-preventable diseases have killed children across the world, including the USA. As I have said many times, the pinnacle, the absolute platinum standard of clinical research are meta-reviews (or systematic reviews). In an issue of Pediatrics, a meta-review found that serious vaccine-related complications are extremely rare. And, to continue repeating the fact over and over and over, the researchers found that vaccines are not correlated, let alone causal, to autism. Essentially this study is an update or addendum to the National Academy of Medicine (NAM), one of the most prestigious, apolitical, and scientific medicine organizations in the world, 2011 report on vaccine adverse effects. The report, which can be downloaded and read on your computer, Kindle, iPad, and other reading devices, details the plausibility and causality of potential vaccine-related adverse events. I discussed some of their findings previously, and there were few serious adverse effects related to vaccines. They excluded any papers that dealt with vaccines which are not available in the USA or that are no longer used in the USA. They excluded papers about vaccines that didn’t include any safety data (which, amazingly, was approximately 17,000 papers). They excluded papers that were not in English or actually couldn’t be found. Studies also had control mechanisms, including controlled trials, cohorts comparing a vaccinated with a non-vaccinated group, case-control studies, self-controlled case series, and observational studies that used regression to control for confounders and test multiple relationships simultaneously (multivariate risk factor analyses). 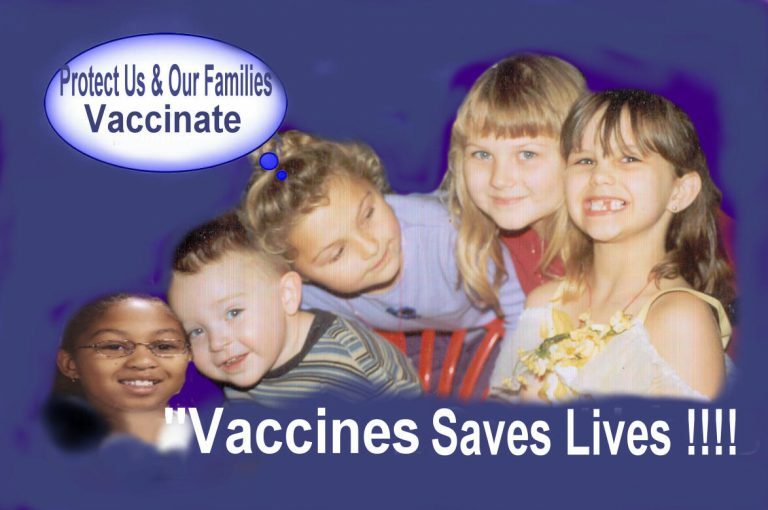 DTaP vaccine – No additional studies were found with respect to adverse effects with this vaccine. The current scientific consensus rejects any association between the vaccine and Type 1 diabetes as discussed in the IOM report. Hepatitis A vaccine – The research found that there was a rare association of purpura, a discoloration of the skin, with the vaccine. In a post-licensure study of >1.8 million vaccine recipients, purpura was seen in 1-2 cases in each age group. The cases were mild and acute (temporary). Hepatitis B vaccine – The study found that the vaccine was associated with an increase in immunoglobulin E (IgE) in those children who have a family history of food allergy (but not a clinical allergy). There were no clinical effects observed. Hib vaccine – No association with serious adverse events. Inactivated polio vaccine – There was a possible association between the vaccine and food allergies in a small number of patients. Influenza vaccines – The results were fairly complicated. One study found no association between the vaccine and adverse events. One study found an association with mild and temporary gastrointestinal issues such as diarrhea, slightly more frequent with younger children. Another study found that the vaccines are associated with mild, short-term influenza-like symptoms (though, it must be made clear, not a flu infection itself). Finally, another reviewed article showed that there was some increased risk of febrile (fever-related) seizures in small children. Although these type of seizures are frightening to parents, they happen to some children who have fevers, irrespective of vaccinations. They are benign and there’s no evidence that it leads to any neurological issue. MMR vaccine – There was a small association with purpura and febrile seizures. There was no association found with autism spectrum disorders. Meningococcal vaccines – Again, there is a wide variety of evidence about adverse events. One study examined by the authors showed no association with any adverse effects. Two others reported a small rate of febrile seizures with the PCV13 vaccine, and an approximately 3X risk of febrile seizures when two types of vaccines were used. Given the variability of results, it would be difficult to claim a firm association between these vaccines and specific adverse effects. Rotavirus vaccine – In 31 clinical trials, there was no association between the two types of rotavirus vaccine, RotaTeq and Rotarix, and any serious adverse event, including intussusception, a rare disorder where one part of the intestine invaginates into another part. However, some data points to a risk of approximately 1.1-1.5 cases per 100,000 vaccinated individuals for RotaTeq and 5.1 cases per 100,000 for Rotarix. These are extraordinarily rare adverse events, especially when examined against the pre-vaccine annual toll of rotavirus in the USA of 55,000 to 70,000 hospitalizations, and 20 to 60 deaths. Varicella vaccine – Again in a huge study of >1.8 million vaccine recipients, purpura was observed at a rate of around 1-2 per 100,000, an extremely rare adverse event. As I have stated many times, almost everything in medicine can cause minor and serious side effects. But, in the case of vaccines, those adverse events are extremely rare, sometimes barely noticeable, statistically, from the background level of the observed event in a broad population of individuals. Furthermore, adverse events do not include SIDS, shaken baby syndrome, autism, multiple sclerosis, diabetes or death. Millions of patients examined, yet none of those events has been established as being associated with any vaccine. Making up stuff based on the passive and weak VAERS system is at the point that most of the pro-science discussion immediately dismiss anyone who ventures to bring up that data. Moreover, it is important to remember that even these infrequent adverse events must be weighed against the enormous benefits of the vaccines. The CDC reported, in early 2014, that vaccines have saved over 700,000 lives (plus over 300 million illness and 21 million hospitalizations) since the early 1990s. Look at those numbers – 700,000 deaths versus a 1 out of 100,000 adverse events. In those 700,000 deaths, all from vaccine-preventable diseases, about 7 would have a febrile seizure if they were all vaccinated. I think if any parent is reading this, you’d trade your child being in the febrile seizure statistic, as scary as it is, rather than being in the death or hospitalization statistic, a substantially greater risk. Every pharmaceutical company who manufactures and every physician who delivers a vaccine wishes it were perfectly safe, with no risks whatsoever. But that’s not only unrealistic, but it is also probably impossible. There is simply no way to mitigate risks from any medical procedure unless you want to buy into pseudoscience of alternative medicine. But whatever the risk has to be balanced against those lives saved and hospitalizations avoided by preventing these disease. The anti-vaccine religion thinks it’s all made up. Some don’t even consider it, it’s not even in their imagination. And some may even think they can hide behind the vast majority (with some vaccines, nearly 95% of children are immunized) who are immune, protecting their children without even taking the tiny risk of the vaccination itself. In fact, in an accompanying article in Pediatrics, Carrie Byington, MD, a professor of Pediatrics at the University of Utah Medical school, stated that some more recent medical school graduates are less impressed with the effectiveness of vaccines, mainly because they have rarely seen vaccine-preventable diseases in their own lives and during their medical education. Older physicians, who have been around long enough, or who have traveled to countries where these diseases are endemic, are more confident in promoting vaccination. In fact, a study in Washington State found that more than half of medical providers were willing to consider untested, alternative immunization schedules that skip or delay vaccines. If pediatricians themselves won’t recommend vaccinations, then who will? A blog writer? A book author? I don’t think so. For another slightly different examination of this study, please see Red Wine and Apple Sauce. This article was originally published in July 2014. It has been extensively revised and was supposed to be republished last month, but I forgot to push the republish button. This feathered dinosaur failed miserably. Committee to Review Adverse Effects of Vaccines, Institute of Medicine; Stratton K, Ford A, Rusch E, Clayton EW, editors. Adverse Effects of Vaccines: Evidence and Causality. Washington (DC): National Academies Press (US); 2011 Aug 25.PubMed PMID: 24624471. Wightman A, Opel DJ, Marcuse EK, Taylor JA. Washington State pediatricians’ attitudes toward alternative childhood immunization schedules. Pediatrics. 2011 Dec;128(6):1094-9. doi: 10.1542/peds.2011-0666. Epub 2011 Nov 28. PubMed PMID: 22123877; PubMed Central PMCID: PMC3387893.